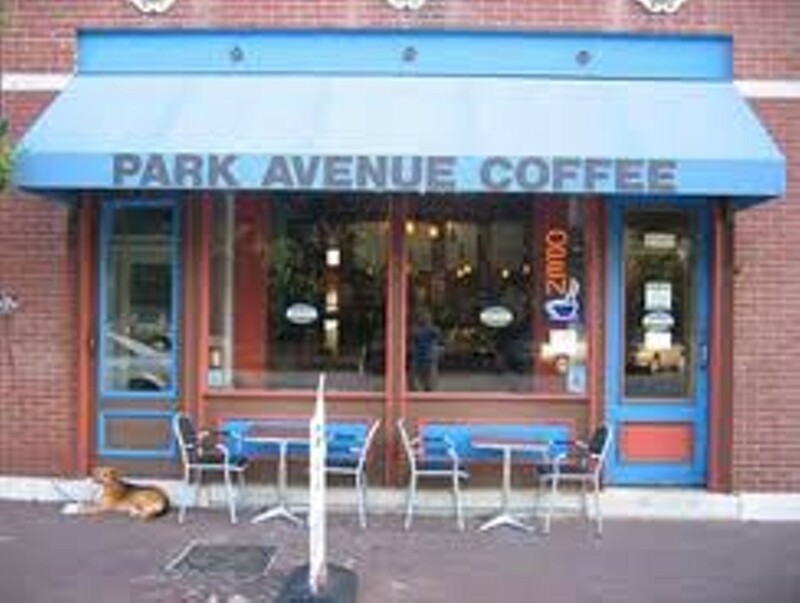 Located in Lafayette Square along Park Avenue just a few steps east of Lafayette Park, Park Avenue Coffee features a large selection of coffee and espresso drinks and St. Louis's very own favorite dessert, gooey butter cake. The coffee all starts with locally roasted Chauvin Coffee beans and comes in a variety of drink options, including flavored mochas and lattes, a "Cubano" with raw sugar, or on ice as a caramel macchiato and Thai coffee with sweetened condensed milk. 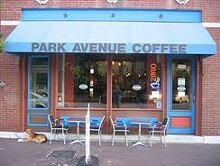 Park Avenue also serves blended frappicanos, teas and fruit smoothies with real fruit and nonfat yogurt. They offer a few bagels and other baked goods, but the real eats at Park Avenue begin and end with gooey butter cake, with more than 70 different flavors available for order, all beginning with eggs, butter, cream cheese and powdered sugar, and followed by several different fine-tuned flavors. Among the top-selling flavors Park Avenue offers are red velvet, white-chocolate blueberry and key lime, plus the original recipe, plain, old traditional cake. Cakes can be purchased in squares or by the whole cake, with the option to make it heart-shaped, if so desired.